The mission of VietnamWorks.com is to help people achieve their dreams. We deliver a superior solution for recruiting high quality professionals. Our team delivers an extraordinary service to our Customers and Job Seekers. We achieve excellence through continuous improvement. Every single day we develop and grow ourselves through coaching and training. We communicate honestly, openly and directly to strengthen trust and move forward. We don’t gossip or complain behind others’ backs, we communicate directly and take responsibility for change. 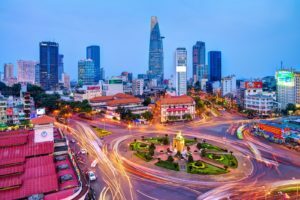 Vietnamworks.com is one of the best generalist job board in Vietnam. Job offers are varied in terms of positions and companies. Job seekers can search an ad in the data base by choosing a name of a city or by choosing a job category. The design of the website makes it very modern and pleasant to use. The application process is not easy for job seekers as you need to create an account and log in to apply to any job offer. The site is also available in English which is a real plus. Login here for FREE to unlock access to the traffic audience, content and pricing section for more information on VietnamWorks.